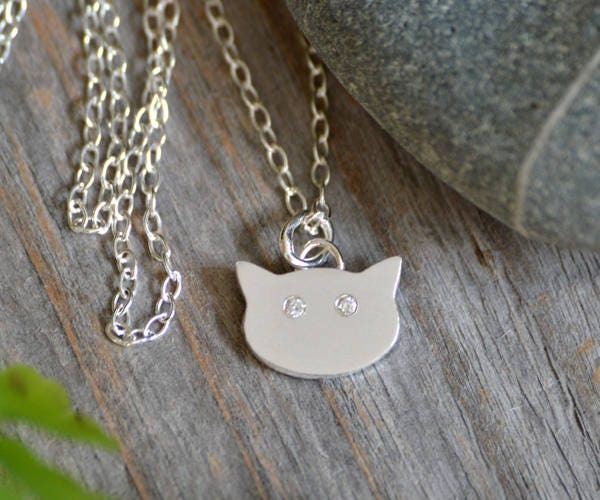 This cat necklace with diamond eyes is handmade by myself here in southwest England. 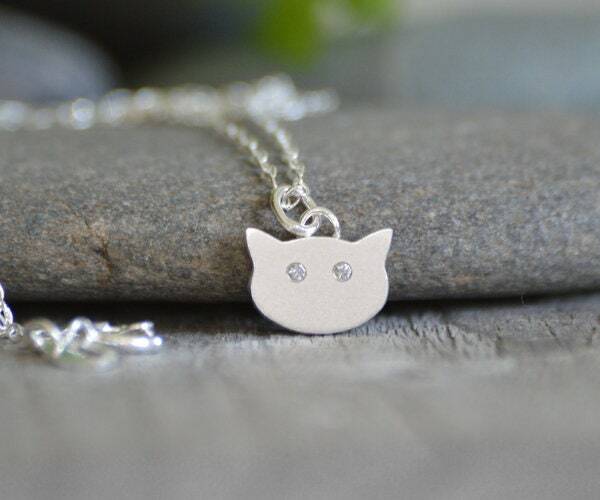 Material: natural diamond and sterling silver as shown. Also available in solid gold, please choose from drop down menu. 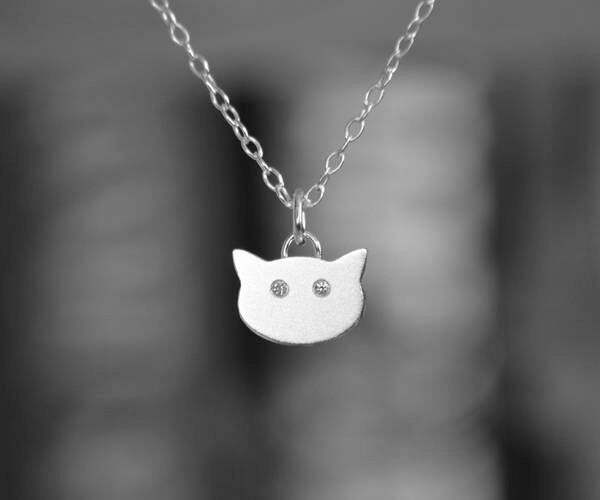 Length of the necklace: adjustable can be worn as 16", 18" or 20"
This necklace is nickel free. The diamonds are conflict free. WONDERFUL !!!! 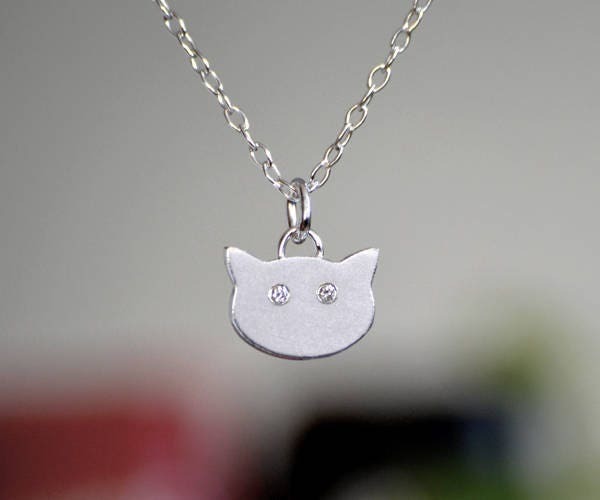 Very high quality diamonds for a super cute kitty ! Thank you so much.